There were exactly two moments where I could empathize with the Heroine. First, when she asked a guy why he loves her, I asked the same question. What did he see in this obsessive, self destructive, wreck of a person? I never could root for her or want her to succeed. The amount of tears shed in this film is phenomenal. The budget for glycerine and eye makeup must have been huge. Pity they had to cut out proper writers to balance the costs. Everyone keeps talking about actors as a different species,and there is very little insight. The film is simply about a woman with relationship and addiction problems. Madhur Bhandarkar has confirmed what I always suspected. His cinema is exploitative. It always claims to attempt to bare some truth, but all he does is take a subject and throw muck at it. Be it fashion, corporate, or heroine, all he does is drudge up anything negative he can find, and present that as reality. Reality is more complicated Mr Bhandarkar. Add the plunging necklines and an unnecessary lesbian scene, and I was convinced that the director intends to exploit the cine world, not explore it. Shame really, there could have been an interesting film there. And so the second time I sympathized with the heroine’s character was when she is pleading with folded hands with some reporters to let her go. I was doing the same thing by then. Enter at your own peril. The battle lines of directors in Hindi films this year have been drawn between two Anurags. It’s also a battle of directions their films take. Barfi, like Gangs of Wasseypur, deals with past, but forget all the grit, dirt and the sheer mass of filth that’s poured over you. We deal in Barfi with scenery and light. It’s utter, uninhibited nostalgia for an idyllic existence. The Murphy radios, slow trains, and the electronics free melodies. So that’s the first character then. Let’s meet a few others. 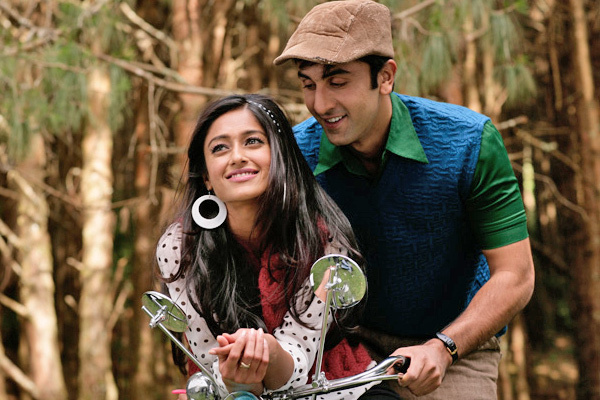 Barfi – deaf-mute, naughty, lovable, rogue- falls for the good, nice, normal girl Shruti and has his heart broken. Then he meets his childhood friend, a severely autistic Jhilmil, as she presents an opportunity to save his father. That doesn’t work, and she morphs from an opportunity to liability to companion to necessity. As Shruti narrates this tale, we see her mourn her self inflicted loss. 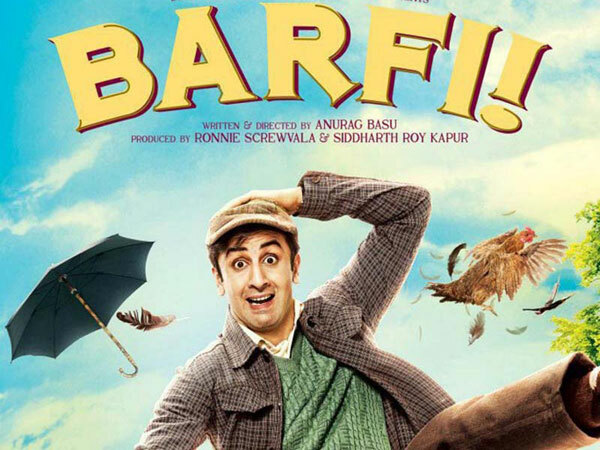 Barfi is a film about relationships between characters more than the characters themselves. We see all the characters through someone’s eyes. That’s why the plot device of narration and reminiscence is so powerful. So we have at the heart a love affair that is sacrificed at the altar of practicality and another that is so impractical, it just blooms out of nowhere. Mischief and pranks lie at the heart of both relationships. That and the unabashed joy for the beauty and opportunities for fun that surround us. Surrender, and you find your bliss. Resist and you fear losing the sight of important things in life, such as fireflies inside soap bubbles. The beauty, however doesn’t lie in the fireflies or the bubbles. It’s squarely in the communication between two people who may be characterized as disabled, but are totally fluent in their non verbal communication. It’s in a guy wooing a girl without uttering a word. There are several scenes where everything stops and the camera lingers for a few moments on the silent, eloquent faces of the lead actors. Marvelous. Marvelous scenes, superlative actors. Priyanka once mimicked Shahrukh Khan’s Autistic act on stage. This is her own performance. She has brought to life a character who could easily have been a caricature. Even when the camera is looking lovingly at Barfi’s antics, its amazing to see how much Priyanka is acting, and yet not overdoing it at all. And thus to the titular Barfi… this guy is less than 10 films old, but he is showing all the traits of a seasoned actor. Karan Johar said this guy needs a running ovation, and I agree. After Rockstar and Barfi, I wonder how he will top these performances. Anurag Basu has delivered a gem, and needs to be applauded. He takes time with his story and and makes it compelling to anyone willing to listen. I wish he had avoided the “mystery” angle thrown in the middle of this tale, but as it stands, its a solid film with moving tales of interesting people. So who won the battle of Anurags? Both did of course, as they both created versions of the past that ring true, and are equally valid perspectives on remembrance. And because of this Anurag, we have just been invited for a sumptuous meal of sweetness and light.